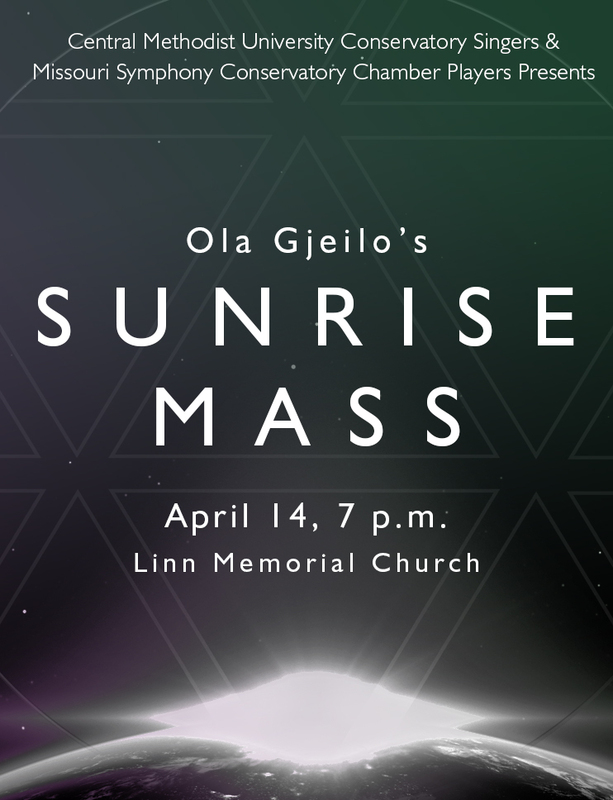 On April 14, The Missouri Symphony Conservatory Chamber Players and the Central Methodist University Conservatory Singers will collaborate to perform Sunrise Mass by Ola Gjeilo. The Chamber Players will also perform works from Baroque to Modern. The performance is 7:00 pm at Linn Memorial in Fayette, Missouri. This is a free event, so don’t miss out on this special collaboration! For questions, please contact Lynette Beeler at lbeeler@centralmethodist.edu.